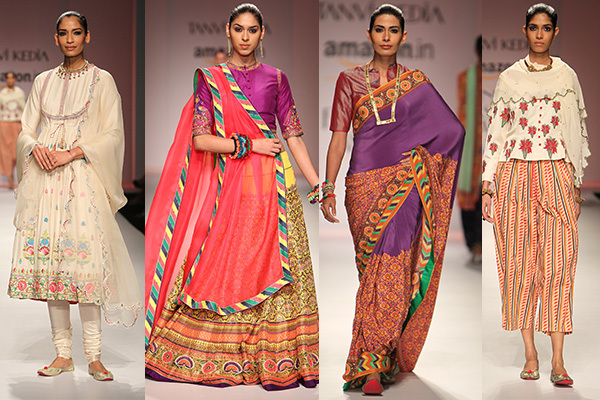 JAMA by Tanvi Kedia presented cultural motifs from Pakistan and Afghanistan. She used digital prints and embroidery on saris, lehengas, shararas, kurtas and skirts, as well as pop colour accents on mosaic-shaped embellishments and prints. 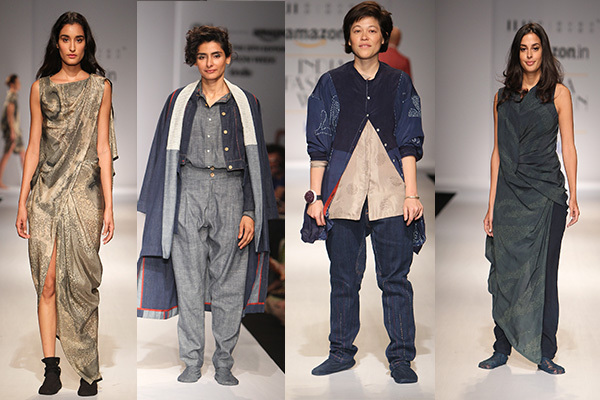 Memoirs and melancholy gave birth to EKA‘s latest line of chic casuals. Full length tunics, linear jackets, flared skirts and capes, all came with the quality of normcore statements. Easy layering channelled the warm and cozy mood of the winters. 11.11 presented a handmade line of trucker jackets, Louis pants, drawstring skirts and sari pants made with organic materials, maintaining their sustainable approach toward clothing. Pankaj and Nidhi brought a fine end to the evening with an experimental mix of diffused geometric prints and warm gradient hues in reds and pinks with their spunky collection titled ‘Rouge Minerali’. 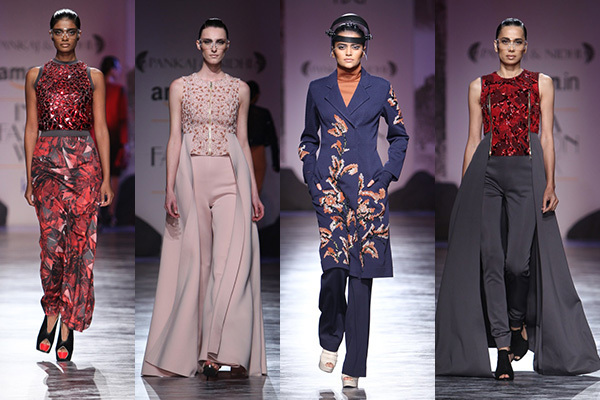 In case you missed it: Day 1 and Day 2 of Amazon India Fashion Week.